Many of you have probably heard that it’s very important not to accept the first slary offer a potential employer makes; rather, you are supposed to negotiate the package. Generally, that’s sound advice, as research from CareerBuilder found that 70 percent of firms will leave some wiggle room when making salary offers, and if you don’t negotiate, you are literally leaving money on the table. That being said, many people have tunnel vision when it comes to negotiating their salaries, focusing too much on the size of the potential paycheck at the expense of their benefits packages. There may be a gold mine waiting in the benefits program, and it can be much easier to extract money from a benefits negotiation than a salary negotiation. Here, I outline five key benefits that every candidate should negotiate in addition to their salary. You may be surprised by — or all too aware of – just how much money and energy you spend traveling to and from work. That is why the ability to flexibly work from home can bring immense value, in terms of cost and time savings. Try to negotiate one or more work-from-0home days during the appointment stage, explaining the work-related reasons for it and how it makes you more efficient — e.g. you can work an extra hour when you don’t have to commute, or you can use that work-from-home day to complete tasks that require a lot of concentration. If the company already has a work-from-home policy, try to agree with your employer on the exact amount of time you are allowed to work from home each week. If an employer won’t give you an increase in salary, they will often be more keen to commit funds to you in the form of a training allowance or paid time off for training, making this an excellent perk to negotiate. The best way to negotiate for training is to set out your career strategy and learning goals and show your employer how specific training will not only enable you to more quickly meet your goals, but will also make you more efficient and effective for the business. If you can demonstrate that a training allowance is a win-win scenario, you will increase the chance of your employer approving your request. There are lots of fronts on which you can and should negotiate a bonus. If the new employer doesn’t offer a bonus scheme, you could ask for a bonus that is subject to you meeting agreed-upon performance goals. It’s another win-win scenario: the employer only has to pay if you deliver. Obviously, you want to make sure the goals you set are achievable. If the employer does offer a bonus scheme, you may still want to negotiate the specific terms of the bonus. For example, the bonus may be too small, given the goals you have offered. Also, you should ask the company to confirm the average annual payout for their bonus scheme to date. If the bonus has not paid well to date, you may want to ask for a bigger bonus pot, a higher salary, or another benefit. Ask the employer about the current pay review policy, and find out the average raise rate for employees over the last couple of years. 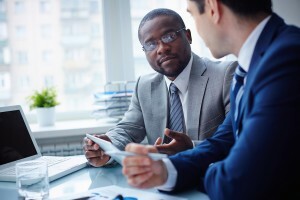 If raises have been low and infrequent, this could be the time to negotiate an agreed-upon raise or pay review connected to a set of goals. For example, you could suggest a raise after successful completion of the three-month probationary review and one after your one-year anniversary. I have seen many salespeople successfully negotiate guaranteed commission payouts for their first 3-6 months on the job as they grow their pipelines. It’s a slightly controversial perk that can cause disharmony within teams if not implemented well/fairly, but I guess that’s not really your problem as the employee. This could be a worthwhile perk to negotiate and could potentially be worth thousands of dollars. Don’t be the person who sits there green with envy because the new hire that started with you managed to negotiate great benefits for themselves. Be the one that others envy for the benefits package you’ve negotiated by following some or all of these tips.